This Ballerina Single Duvet Cover and Pillowcase Set is perfect for fans of ballet and dance! The design features a ballerina in a pretty white tutu running the length of the duvet cover and a diamond tiara on the pillowcase to give the illusion that your little one is the ballerina. Made from a polycotton blend, this bedding set is suitable for machine washing and tumble drying on a low setting. 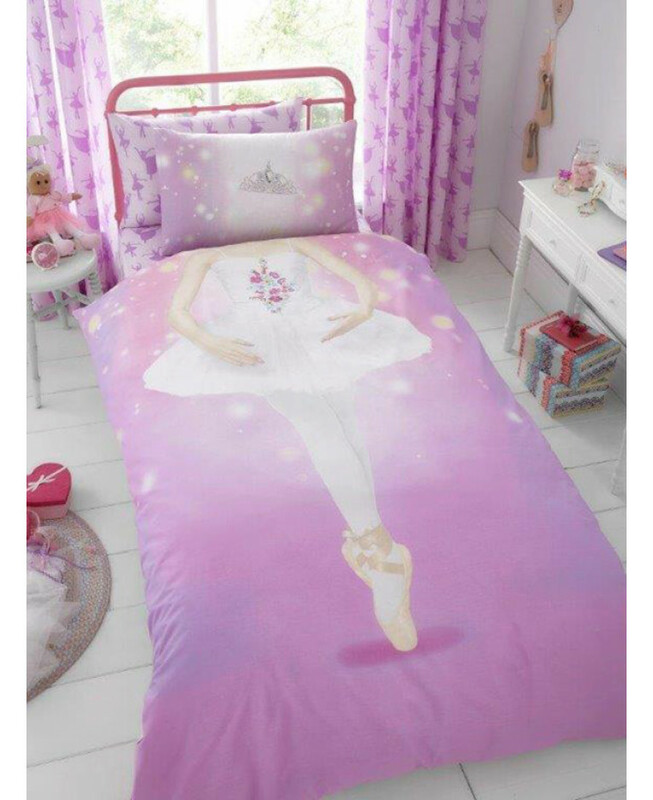 A matching fitted sheet and other ballerina items are available from our website to complete the ballet theme.